Learn more about my birth and postpartum doula services, including pregnancy and postpartum consulting and gentle infant sleep consulting. ps- I’ll be in the Santa Cruz area from early March until mid-May and open to talking home birth and birth center clients within 15 miles of downtown Santa Cruz with EDDs between March 10th - May 10th. Open to and currently booking all consultation and sleep training services throughout the Bay Area now through the end of May. Currently taking East Bay / SF birth and postpartum clients in January and May only. Booking open for Santa Cruz clients March - early May. 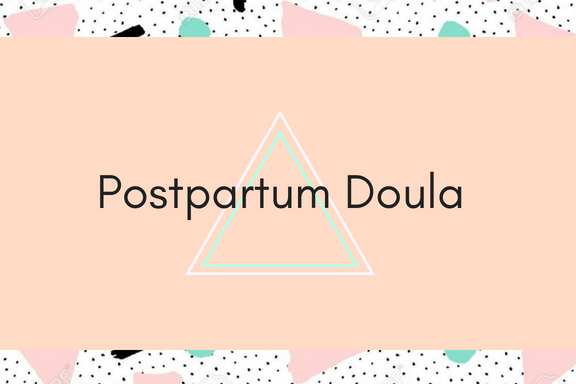 A doula is there to help support you through pregnancy, birth, and postpartum - to serve as your advocate and as an emotional support person. I can help you answer questions without rushing through an appointment or having you fit any standard of protocol, giving you customized individual care at any stage in the childbearing year. As a birth doula of nearly a decade of practice and a student midwife who has studied with experienced midwives from all over the world, I bring a patient, empathetic, open, and multifaceted approach to my client appointments. I truly believe that no birth is exactly alike and that by helping parents tap into their intuition and understanding of their bodies while linking it to global evidence-based research and traditional birth support, families can make the best possible decisions for themselves, no matter how "natural" or medical they may be. The goal is physiologically appropriate birth that leaves you empowered by the experience. Birth and early parenting are intense, exciting, trying, strange, wonderful, terrifying, beautiful, impactful times in anyone's life. I love being able to support and guide new families through these milestones. This is why for births I have three prenatal appointments and two postpartum appointments in addition the the initial interview, to ensure that there is a foundation of understanding and trust amongst us as well as care that is personalized, not set to some rigid guide that I can give in a short period of time. There is no time that is too soon or too late to hire a doula and I never reduced services if I work on a sliding scale. Each client gets the same level of care, regardless of birth plan, place of delivery, or fee. I love my work and hope my passion for supporting families in the childbearing year shows! Please call or email to set up an initial client interview. Please don't hesitate to ask about sliding scale and payment plan options. I have a self-reporting income form that can help jump-start that conversation and/or I will happily reach out to my community of awesome doulas to help you find a great fit within any budget. Being a first-time parent is tough stuff. There is so much information out there and it's hard to figure out who to trust, what style of parenting might fit your needs, and there's such a culture of anxiety and fear surrounding this process. It doesn't have to be that way! I've been working with new families in some capacity for almost 15 years. In that time, I've observed arbitrary shifts in trends and gadgets and how much more fearful and expensive parenting has become. I came into this work hoping to help build confident, independent, strong parents of healthy and loving children. This starts at the process of conception, through pregnancy, and is deeply manifested in the first 12 weeks of your child's life. It's never too early to start thinking about how you can bring this new life into your family with ease and love while maintaining the core values of your life up to this point. Postpartum visits look differently, depending on the needs of the family, the needs of the day, and many other factors within the WIDE and ever changing range of normal through the fourth trimester. My style of care is to come in to each visit with an open mind about how the day might go and starting with an open discussion about what you are experiencing from day-to-day. We set goals together for the visit and for the week ahead according to what you need and what any primary providers (midwives, OBs, pediatricians, lactation consultants, etc.) are suggesting. From there, I might be caring for baby during a nap, standing over a hot cauldron of sitz bath herbs, cooking something, holding you while you cry and laugh through your birth story (of joy and triumph or anything else), talking about healthy sleep options, helping you connect with community resources, folding some laundry, helping your partner feel supported through their mode of support for you, laughing about baby farts, helping manage extended family expectations, and so on. My minimum package is 10 visits of 4 hours (daytime) @$45/hour or 8 visits of 8 hours (overnight) @$50/hour unless you are a continuing birth doula or consultation client. Continuing care clients receive 5% discount on the minimum package rate for either service. If you are planning to work with me and are not already a birth doula client or consultation client, there will be one mandatory 2 hour postpartum preparation session ($75) to go over your goals for parenting, some normal ins-and-outs of baby care, your expectations of me and my services, scheduling notes, and to get to know each other better. Clients hoping for care more than 3x week or who would like a mixture of daytime and overnight hours will work with me and another doula from my close circle of trusted doulas for any of the additional days. Congratulations! You're Pregnant! …okay, now what? Most families only discover that the current model of obstetric care in the U.S. is sorely lacking in many key areas late in their pregnancy care. It’s only then that they start scrambling to find support, make new arrangements, and rush to try and stave off many of the normal (but stressful) potential complications that can arise only weeks before their little ones are due. When faced with lackluster care, they still feel overwhelmed, scared, alone and don’t know where to turn. They don’t know what things are options and which things are based in sound evidence. They may feel trapped in their current choices because of finances and insurance and can’t see a way out. Doulas are often the ones who see families at this late stage and see all too often folks pressured into sticking with sub-standard care. 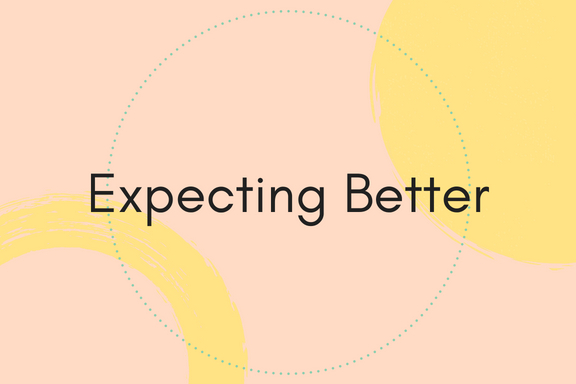 We seek to change that by meeting families earlier on in their pregnancies, taking in-depth and highly personalized care to show parents that there’s a better way. Or better yet, get them into appropriate care right from the get-go. This care can start at any point in someone’s childbearing year, from early conception on to just weeks before birth. The ideal time to start is sometime in the first trimester to make this a 10-12 month relationship that continues into early parenting. An in-depth intake assessment (non-clinical) to get a picture of the type of care you are seeking and how we might best direct our support. Individualized check-ins catered to your experience of the pregnancy process and what more you wish you knew. Open and non-judgemental support through your options in pregnancy care and beyond. Access to tailored articles, literature, and community resources that might best support your desires for pregnancy, birth, and parenting. Helping you find the care provider, doulas, and complimentary care providers right for you and your growing family. Support with writing a birth preferences plan. Education and preparation for postpartum. The Childbearing Year Package includes 10 monthly (or bi-weekly, depending on the starting point of care) appointments for a flat rate of $1300**. Month-to-Month or One-Time visits can be scheduled and billed a la carte whenever you feel you want access to this kind of specialized care. Each two hour visit is billed at $150** and includes 2 virtual follow-ups (email, phone, face time, text). **These services are always offered on a sliding scale as well. Please note in your contact form if you are interested in filling out a self-reporting income form or to make an offer. Rosewood strives to support folks typically excluded from this sort of care and support and will find a way to provide support for you and/or offer a more appropriate referral where needed. Being a first-time parent is tough stuff. There is so much information out there and it's hard to figure out who to trust, what style of parenting might fit your needs, and there's such a culture of anxiety and fear surrounding this process. It doesn't have to be that way. This service is designed to help build confident, independent, strong parents of healthy and loving children. This starts at the process of conception, through pregnancy, and is deeply manifested in the first 12 weeks of your child's life. It's never too early to start thinking about how you can bring this new life into your family with ease and love while maintaining the core values of your life up to this point. This isn’t a newborn care class, but rather a true inventory of the knowledge and resources you have already, plus some guidance on what to expect in the first four months and how to set up your home, community, and budget for a smoother transition once your babe is earthbound. Ideally, this service is provided in the late second trimester, but it’s possible to meet anytime in pregnancy into the first four months postpartum. Preparation in Pregnancy Package: Two visits, each lasting two hours and will come with an in-depth resource packet. You will also have email access to me at anytime from our first visit through the first 12 weeks postpartum for additional questions, concerns, and resources. Additional visits can be added at the hourly rate of a returning client as listed above. Consultations in the Fourth Trimester: Baby is here! And now...you're lost/overwhelmed/oh crap! You're maybe not sure if you need or want more long term support and let's face it, help is expensive. This is where I can come in. This package will include two 2-hour visits within two weeks and can be started at any point within the first four months of your baby's life. You'll get the same resource packet and will have email access to me for the two weeks of our contract coverage. Additional visits can be tacked on at the hourly rate of a returning client as listed above. Have a new parenting group and want to bring me in as a speaker to bond and save some bucks? Let's do it! I can meet with your group for up to 2 hours for a flat fee of $200. The group will get a PDF version of the resource packet that they can share within their group. Learn more about how this service can actually save you a ton of time, stress, and money here.